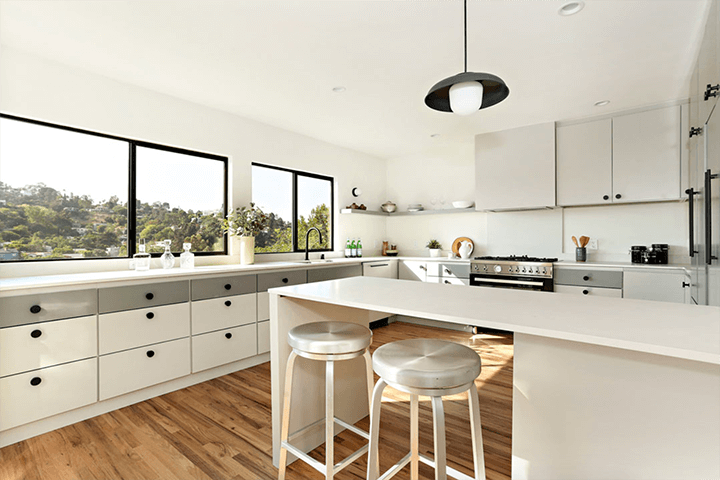 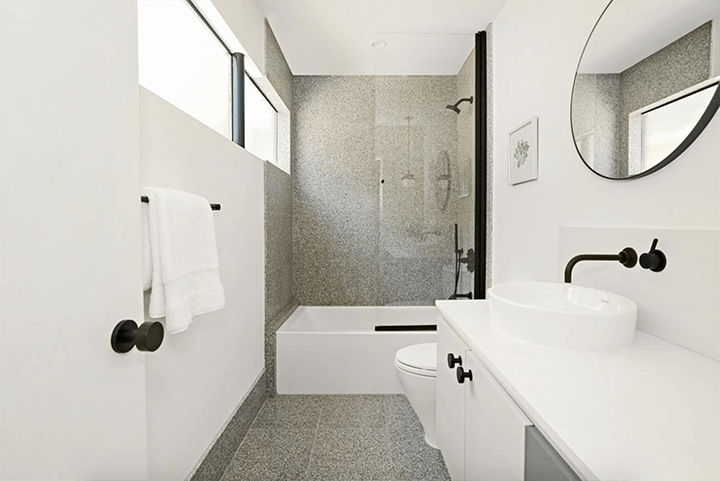 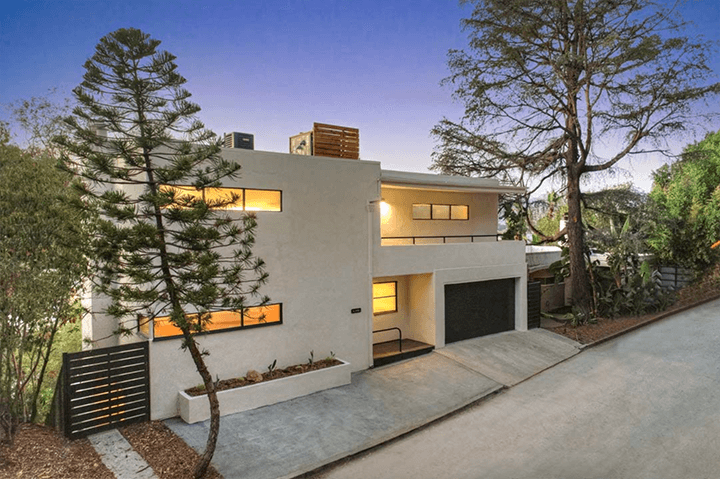 Recently revamped, the Hunter Residence in Silver Lake returns looking more like the classic streamlined moderne the architect William Kesling intended. 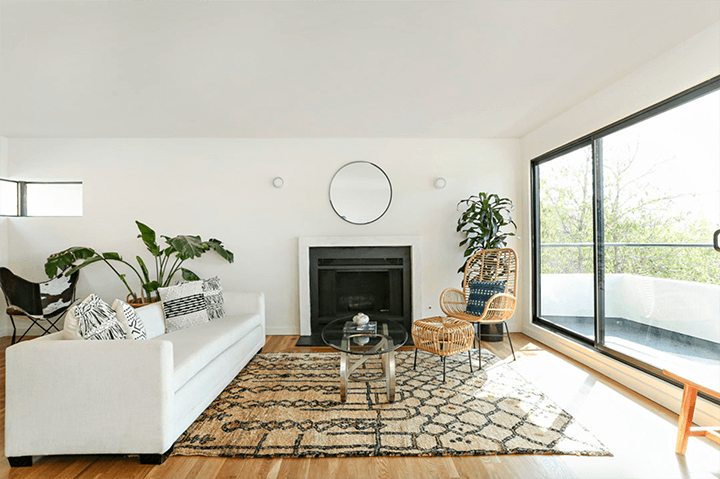 The glamorous 1936 dwelling, located at 1827 Fanning St, sits on a street-to-street hillside lot, next to another Kesling home, the Wilson House. 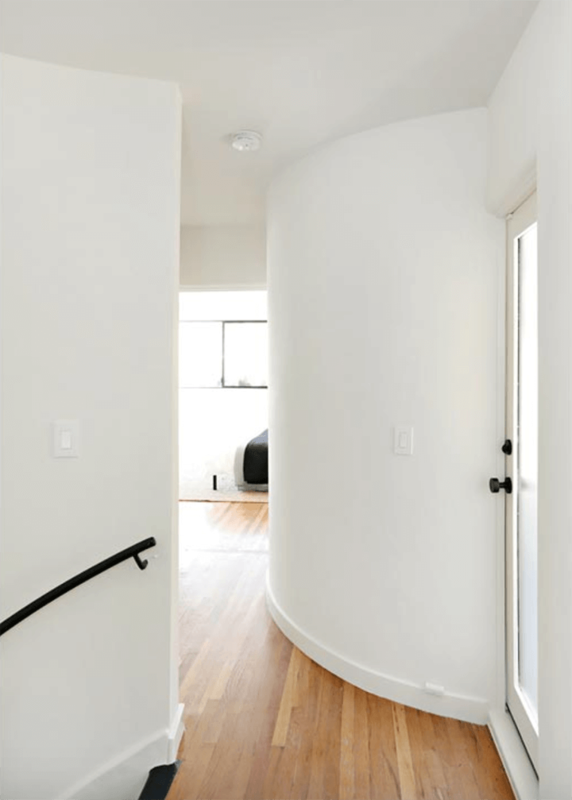 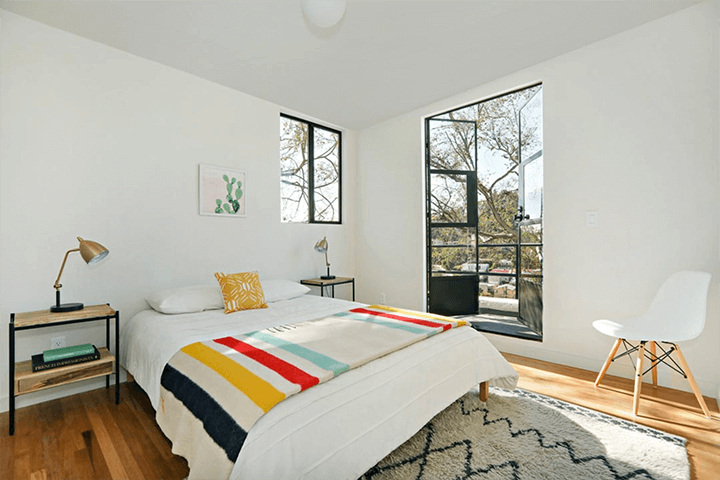 Previous splashes of bold technicolor throughout were swapped out for a pared down aesthetic consisting of white walls punctuated with rich black accents. 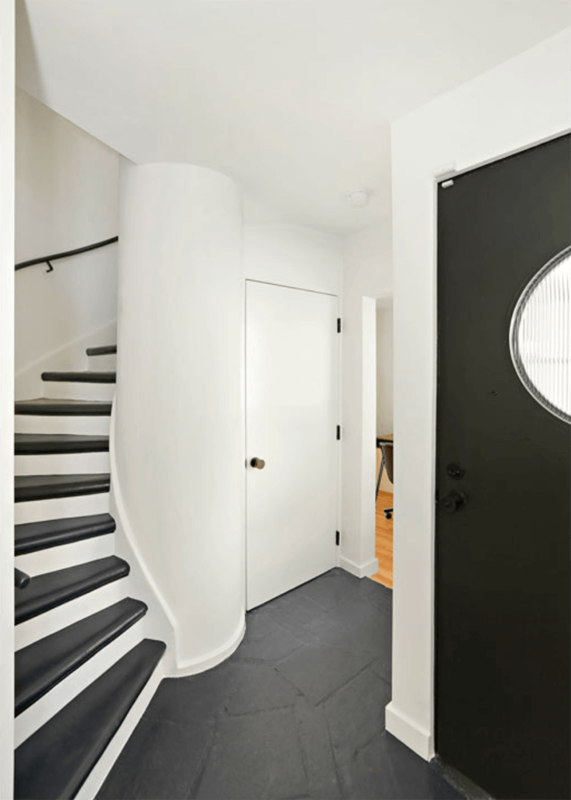 The interior, measuring 2,890 square feet, retains some of the original features, including hardwood floors, curvaceous staircases and railings, rounded walls, tall bands of windows, Art Deco tile, and a round porthole window reminding us of the hallmark symbol of the late Art Deco style — the steamship — widely held as an emblem of progress and modernity at the time. 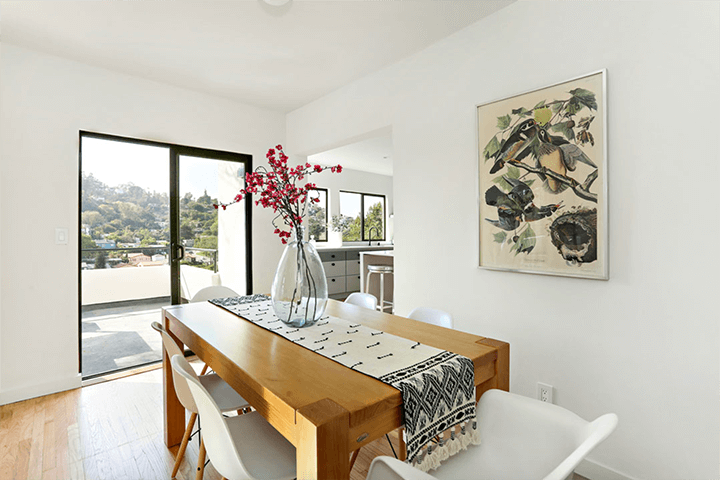 The three-bedroom, two-bath dwelling also boasts an updated kitchen and multiple viewing decks where you can unwind and gaze at the Silver Lake hills and reservoir. 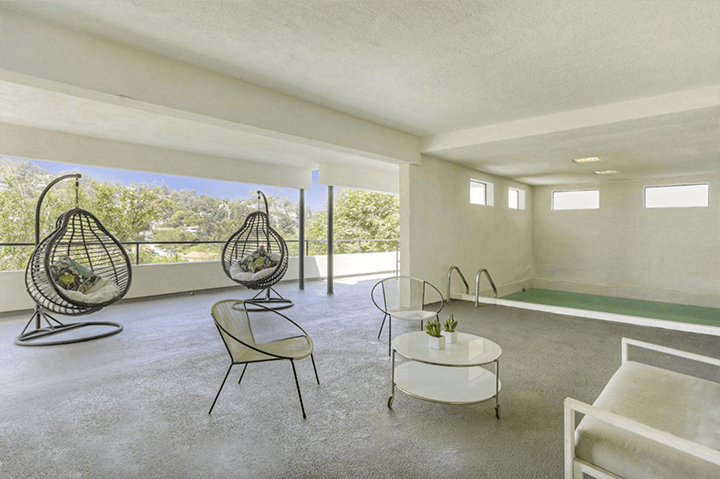 And the indoor swimming pool and bar with kitchenette the former owners, Silver Lake philanthropists Nadia and Norman Kaplan, added were left intact. 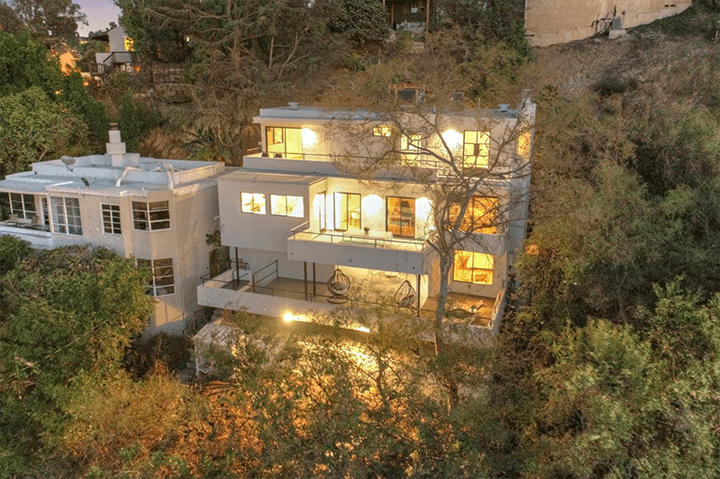 Kesling’s art deco classic is listed for $2.250 million.